Dear sir/mam We are reliable and verified exporter/supplier base at New Delhi, India. We have highly experienced workers and production supervisor as your disposal. We are specialists into producing HIPS mixed color regrind. 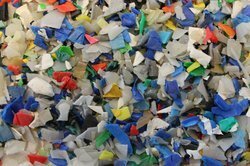 ABS mixed color regrind, TPR mixed color regrind,HDPE PC/CD scrap, We are fully dedicated into customer satisfaction in deliver, maintaining clean quality, no other contamination, no moisture, no iron screw/metals in every shipment we done. All production we handle is destined for long-term, stable and trusted trade approached Our Quality policy To supply products and services that exceed customer’s expectation. Dear sir/mam We are reliable and verified exporter/supplier base at New Delhi, India. We have highly experienced workers and production supervisor as your disposal. We are specialists into producing HIPS mixed color regrind. ABS mixed color regrind, TPR mixed color regrind, PC/CD scrap, We are fully dedicated into customer satisfaction in deliver, maintaining clean quality, no other contamination, no moisture, no iron screw/metals in every shipment we done. All production we handle is destined for long-term, stable and trusted trade approached Our Quality policy To supply products and services that exceed customer’s expectation. Looking for HDPE REGRIND ?